I never liked to eat at Dempsey if neither my friends nor I intends to drive there. But I guess Dempsey House's reviews made me changed my mind. Nearest train station would be Orchard Road and you will need to take a bus for sure. Assuming you made it there without much of a problem, there's a long walk uphill to where Dempsey House is located. Yes, one of the furthest eatery here in the heart of Dempsey. 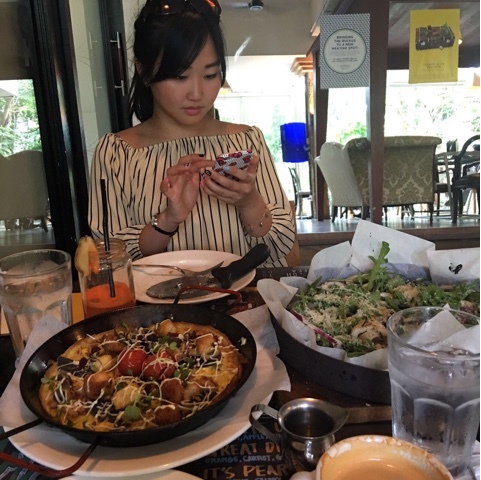 They have a couple of menus to look at so do pick your dishes wisely. I was staring at the House Hi-Tea which is only available from 3-5.30pm on Thurs and Fri (I KNOW RIGHT!! How can they do that to me! Sobs) At just $30++/pax where you can savour on curry leave brownie! How awesome is that! Definitely going for that the next time I happen to be on leave on a weekday. Not withstanding that, we had the most creative fries ever. 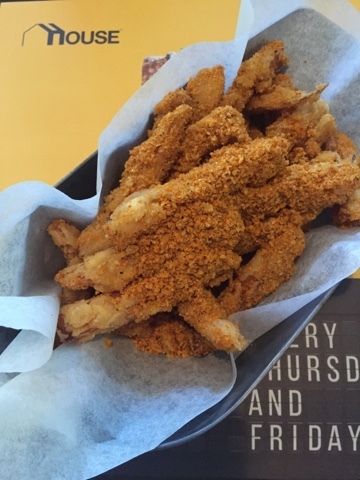 But that is coz there is no other place with Pumpkin Fries with Hazelnut, Paprika and Chilli Powder. My expectations was higher than that for this was highly rated. However, the pumpkin was so mushy and disappear immediately once you put into your mouth. I can hardly find one whole piece of pumpkin, there were more crumbs than pumpkin. They could have been more generous by cutting the pumpkin into bigger and chunkier pieces to bring the dish to the next level. Since it is still one of my favourite veg, I shall not brag about it too much. 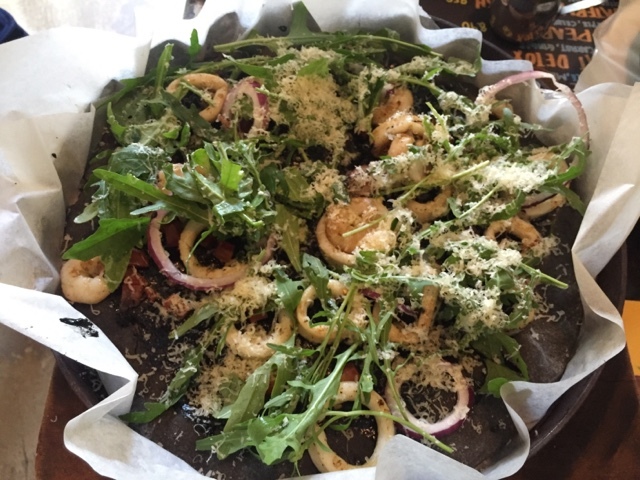 We decided to go adventurous with the Squid Ink Skinny Pizza. I know I know... It's not advisable to have that with friends but true friends would go all out with you when it comes to food, isn't it? So let's be honest, we love our squid ink 😊 My first skinny pizza turns out fine. It was loaded with prawns, squid as well as crunchy raw onion rings and rockets. Skinny is not exaggeration, the crust and pizza base were real thin and I like it that way so you will not feel full right after the first slice. Pizza is all about eating the whole damn thing right? It did stain my mouth every time I bite but I guess it was worthwhile. On to the Crabby Omelette coz what's brunch without EGGS? Yes, what you see below is none other than crabby eggs, not pancake although it does resemble a cake. Why do I care? Taste is more important than what it looks anyway. I was most attracted to the hot pan actually, just kidding. But have you actually had eggs on hot pan other than at zhichar stalls? NO! 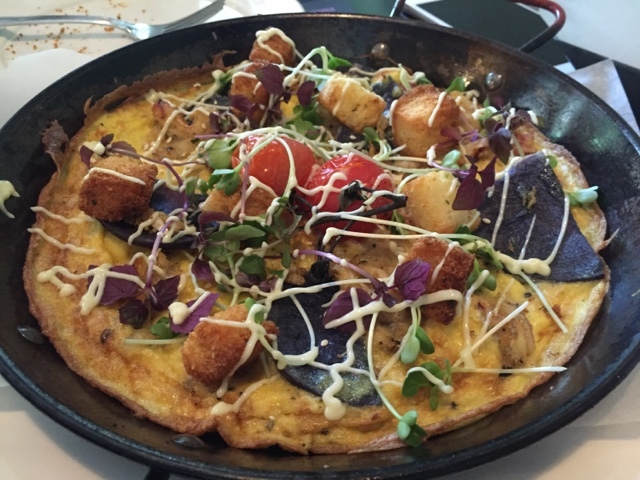 The addition of purple sweet potato and garlic croutons on the omelette also made me realise that anything goes well with eggs so long as you believe. Dempsey House is located at 8D Dempsey Road. Take a flight of stairs down and you'd be there. It opens 12-11pm daily but closes between lunch and dinner on weekends. Maybe they should consider opening throughout on weekends! Tzechar stalls are everywhere but are they really value for money? Dinner with family on weekends can be such a headache. 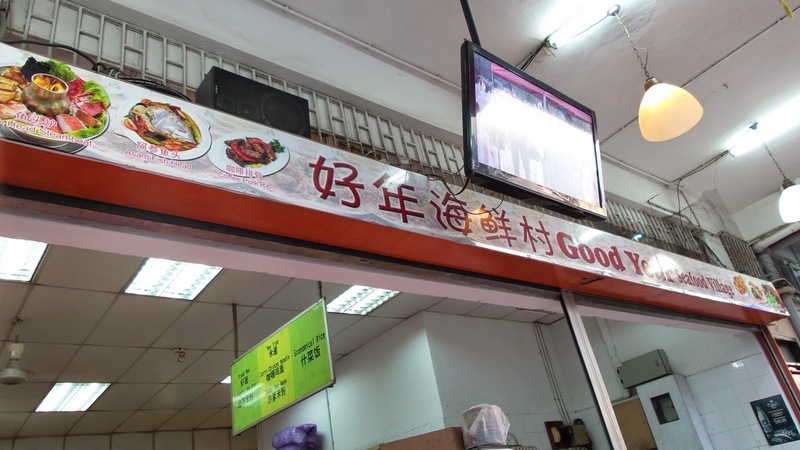 For those who drives, a trip to Good Year Seafood Village is definitely worthwhile. 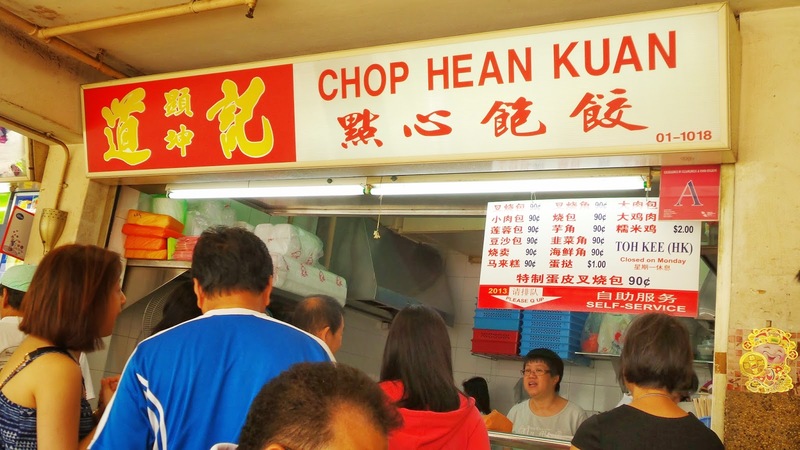 We discovered this place a few weeks ago when I chanced upon a Google search 'bak kut teh in the East'. If that's also something you're wondering about, you're reading the right post.. Located nearby some temples, this place isn't somewhere you would want to go if you're intending to take public transport. Its at the industrial area so you can imagine somewhere like Changi Business Park. No life species on a weekend for sure. They have indoor and outdoor seating but I strongly recommend you to take the outdoor seats. Its surely more comfortable and peaceful than indoors except for the air con which isn't very strong anyway. Let's move on to the food I know you can't wait. Besides Singapore, lots of people also swarm to Taiwan for its irresistible food. Night markets is something not to be missed when you're in this food haven. Need to queue for a papaya milkshake or a black pepper biscuit??? That for sure is a must-eat! Having been to Taipei for the 4th time and Kaoshiung for the 2nd time, i shall share with you guys about some of the amazing food you have to indulge in if you are there for the first time not knowing what to eat. I know it can be frustrating if you can't make up your mind between the three roasted meat stalls and four other dim sum stalls. They all look the same but you know surely one of those stalls is the famous one which your grandparents and parents grew up eating.